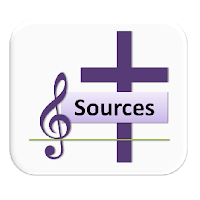 A selection of hymns and songs, based on themes from the Roman Catholic lectionary for the 2nd Sunday of Easter, Year B. 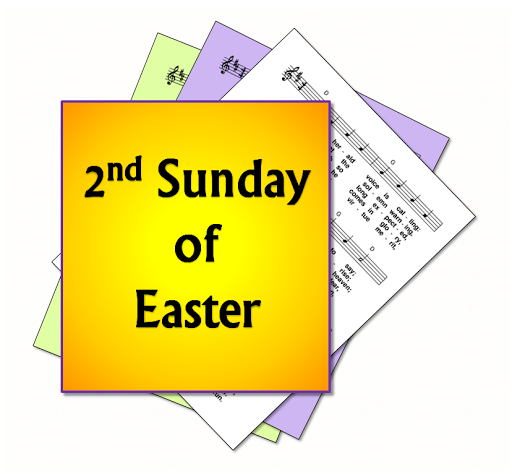 The first Sunday after Easter is the second Sunday in the Easter Season: Easter Sunday itself is the "1st Sunday of Easter". Within the universal church calendar, the 2nd Sunday of Easter is dedicated to the Divine Mercy devotion. 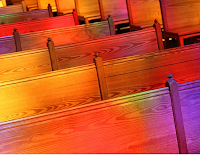 In some communities, it is known as "Low Sunday" - and has minimal if any music to give choirs and music directors a break after the demands of the Easter Triduum. First: Acts 4 - The believers shared all their possession and the apostles gave their testimony to the resurrection. Psalm 117 - Give thanks to the Lord for he is good, his love has no end / Let the sons of Israel say / The Lord's right hand has triumphed / The stone which the builders rejected. Second I John 5 - Everyone who believes that Jesus is the Christ has been born of God ... For the love of God is this, that we obey his commandments. Gospel: John 20 - Jesus appears in the upper room, showed his hands and said “Peace be with you. As the Father has sent me, so I send you.” ... “Receive the Holy Spirit. If you forgive the sins of any, they are forgiven them; if you retain the sins of any, they are retained.” Doubting Thomas. ... Now Jesus did many other signs ... which are not written in this book. But these are written so that you may come to believe. Sharing, generosity. Peace. Resurrection. Jesus dispels fear and brings peace. Doubt / faith / trust. Continuing Jesus work in the world - faithfulness to the commandments.